Throughout WOVEMBER some of the people who work with a whole process – from raw sheep, to finished textile – will share their stories here on the WOVEMBER blog in a series of posts spread across the month. One such person is Laura Rosenzweig of Laura’s Loom, who is producing a range of woollen products from her local flocks of sheep in Cumbria. A more detailed, in-depth version of the story she will tell throughout WOVEMBER was written for the Autumn 2012 edition of The Journal for Weavers, Spinners and Dyers – the Autumn 2012 WOOL ISSUE – a publication which of course WOVEMBER highly recommends! Laura doesn’t grow wool herself, but her weaving practice and the work she will tell us about throughout WOVEMBER draw heavily on the traditions of hill-farming, in the Lake District, where she is from. “Pannus mihi panis” is the Kendal town motto. It means “Wool is my Bread”. I love where I live, and it feels important to find a way of adding value to it. I also want to help support the farmers, whose work shapes the landscape which provides so much pleasure and inspiration. For some time, I’d looked each day at all the sheep on the fells and wondered what I could do with all that wool. Seven years ago, my then six-year-old daughter told a farmer clipping his sheep that her mum was a weaver, and the farmer said he’d bring her some fleece. Two years later, those two fleeces grew to two hundred and – with the British Wool Marketing Board’s blessing and pilot project funding from the Yorkshire Dales Millennium Trust, a new business was born! I called my project “The Howgill Range” after the sheep-covered hills that rise above my hometown of Sedbergh. My idea was to turn local fleece into top quality woollen throws, woven on the old Dobcross looms at our local heritage centre. 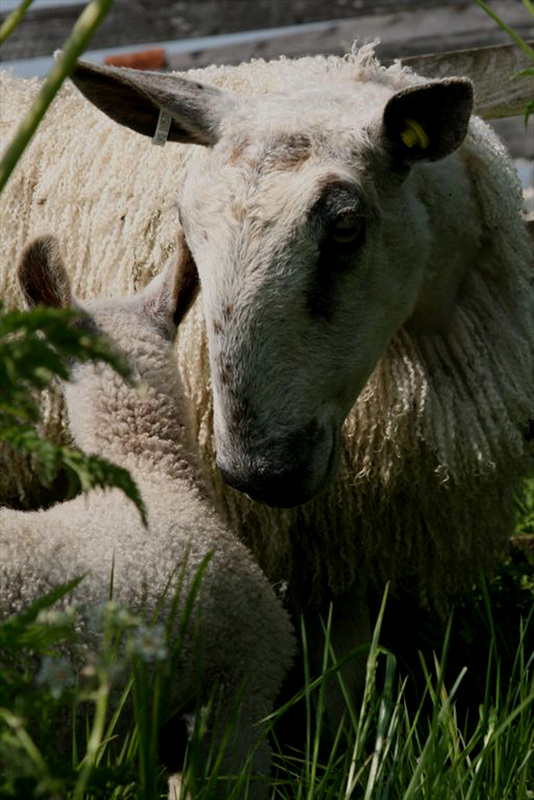 Most of the sheep around Sedbergh are Rough Fell, Swaledale and North of England Mules, (the product of a Bluefaced Leicester crossed with a Swaledale). I’d been lucky to meet the farmer who kindly gave me two bags of fleece, as he knew everyone in the area with small flocks of Bluefaced Leicesters! 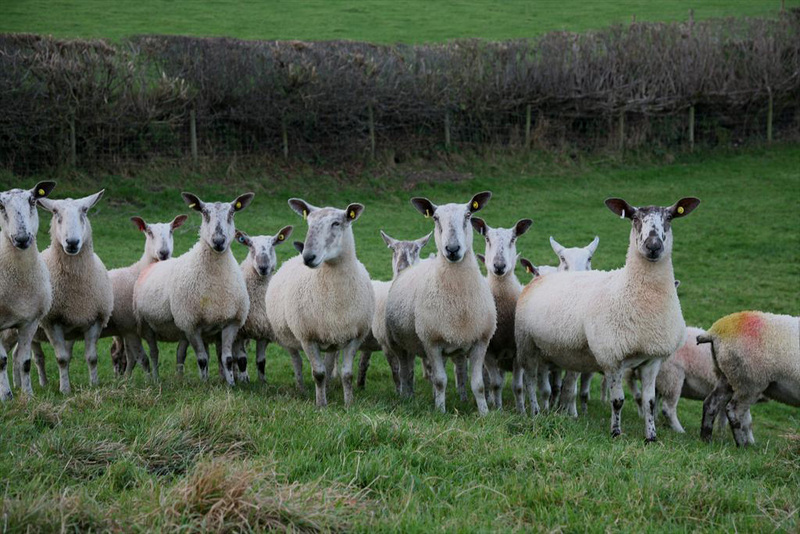 Bluefaced Leicesters have a soft and lustrous fleece which is perfect for weaving blankets and scarves. Brooches covered with Laura’s Loom Bluefaced Leicester 100% WOOL fabric can be purchased here, and you can hear Laura talking more about her work in the clip presented below! Check back later in the month to hear how the raw wool shown in this post becomes a finished textile!